Visit us at booth 805 at the Little Rock Marathon Expo on Friday, March 4 and Saturday, March 5. We’ll have cow-bells, t-shirts and refreshments for volunteers! Rosa Rodriguez, Heifer Ecuador country director. World Ark: How many marathons have you completed? Rosa Rodriguez: I have run six marathons. I won First Place in my category in the Buenos Aires Marathon and the Fort Worth – Dallas Marathon. Second place in the Atlanta Marathon. However, I have also run several half-marathons. I never pressure myself for the timing. When I begin the marathon I forget everything else and just begin the race. The competition is against myself, and I start enjoying it and looking where I am going. Which has been your favorite? The Munich Marathon was lovely because there are many people supporting it and you run through forests, the old part of town, the new part of town and there are large crowds. I did my best time there (three hours and 42 minutes). The Fort Worth marathon was magical because it runs along the edge of a river, in silence. I dedicated that marathon to myself. The one in Buenos Aires is spectacular because of the places and the music. 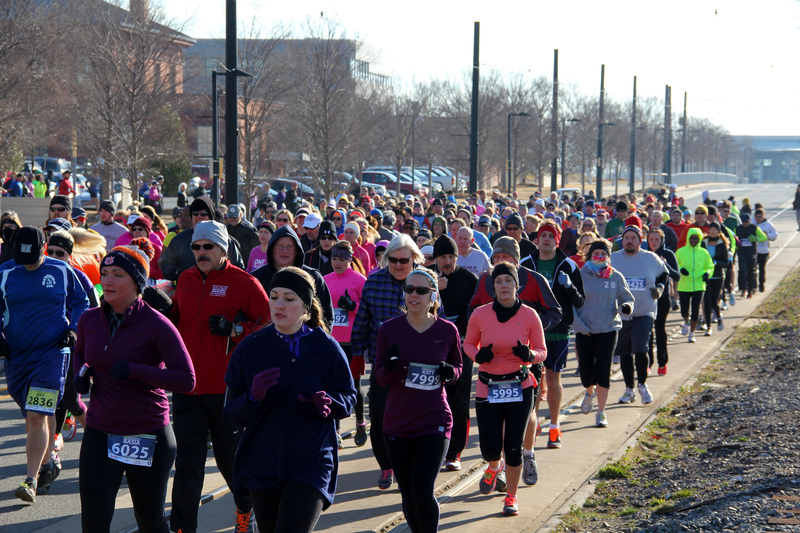 Why did you decide to run in the Little Rock Marathon? Every year, I set the goal for myself to run a marathon. Last year (2015) I was training and planned to run a marathon in October. However, I have had a lot of travel all year and didn’t have time to settle on where to run the marathon last year. Oscar Castañeda [Heifer's VP of the Americas] is also a runner, and we run together when I am in Little Rock or when we are in the same town for meetings. He knew that I was frustrated because I had not been able to run my annual marathon. Last November, when the senior leadership of Heifer had announced the dates for the annual global meeting in March, Oscar emailed me, saying, “Well, here is your opportunity, I will run the half marathon – you register for the marathon." The dates worked out and I loved the idea. Some years ago, I ran a half-marathon in Little Rock and it is a lovely route. It seemed to be a great coincidence, to run the marathon just where Heifer has our headquarters and in the year that Heifer is sponsoring the marathon … everything fell into place. Little Rock Marathon runners, doing what they do best. What do you like about running long distances? I can’t really put it in words. It is a feeling, a sensation. You feel the wind, you see places, your body loosens up from its tension until you find the proper rhythm… And when you finish a race or training it makes you very happy. It is like feeling ready for a new challenge. Setting a goal also helps me focus. I never think that I have to run 42 kilometers; I always go along meeting smaller goals, for example, 10, 20, 30 ... and so on. That helps me. Are there places in Little Rock that you especially like to run when you visit? Why? Every time I come to Little Rock I love to run through its streets. Sometimes I go out and begin running and just keep going. I have also gotten lost several times, and instead of covering my daily routine sometimes I have done twice as much. Once I was supposed to run 9 km and ended up running 18 km because I lost my way–I got to my meeting late, wearing my running togs. Oscar and I have run through many parks that I have really enjoyed. The river trail is the one I have run most often. But I very much enjoy Murray Park, Big Dam Bridge and Two River Park.